Classical week on Dancing With The Stars 2011 provided a classic dog fight for the top of the leader board, producing a new leader. And Kirstie Alley survived another mishap for the second week in a row. Ralph Macchio regained the approval of the judges and briefly jumped into the lead with his waltz, earning a score of 25 out of 30. Hines Ward tied the game... I mean competition... not with a touchdown but with a crisp and perfectly executed Paso Doble. During the week's practice, Disney star Chelsea Kane told her partner Mark Ballas that she was determined to get to the top of the leader board. Kane reached her goal by waltzing into the lead with a score of 26 out of 30. 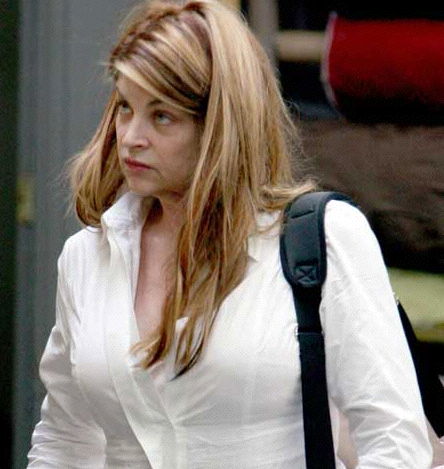 Kirstie Alley endured another mishap for the second week in a row. Last week, her partner Maksim Chmerkovskiy suffered a cramp in his leg and the couple tumbled to the floor shortly after their dance began. This week, near the beginning of her performance Alley was spun to the floor and her shoe came off, a first on DWTS. She quickly wriggled to get the shoe back on and continued flawlessly - and was not punished by the judges, finishing behind Macchio and Ward. The middle of the pack did well. WWE wrestler Chris Jericho rebounded from last week, earning a higher score, but not enough to put him at the top. Kendra Wilkinson failed to impress the judges and wound up at the bottom of the leader board. Could she be the next to leave? So much relies on fan voting, which can override the judge's scores. My guess is that Wilkinson and Sugar Ray Leonard will be in jeopardy until the end of Tuesday's Results Show on Dancing With The Stars 2011.